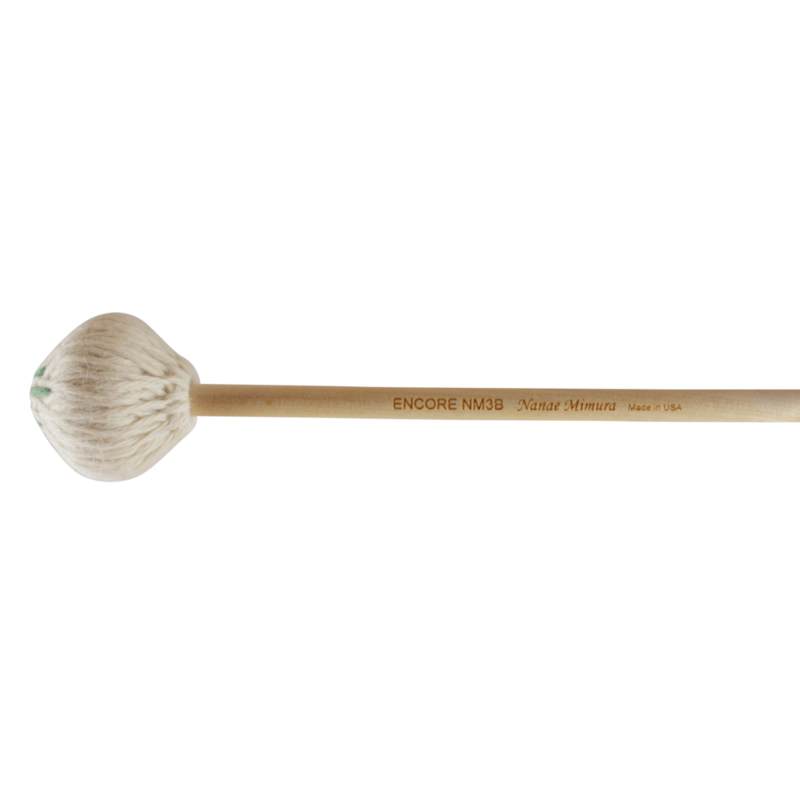 Nanae Mimura Series mallets are slightly heavier than NZ Series mallets and features a latex-wrapped rubber disk core covered in North American Alpaca wool. The yarn is all natural wool and not chemically processed. 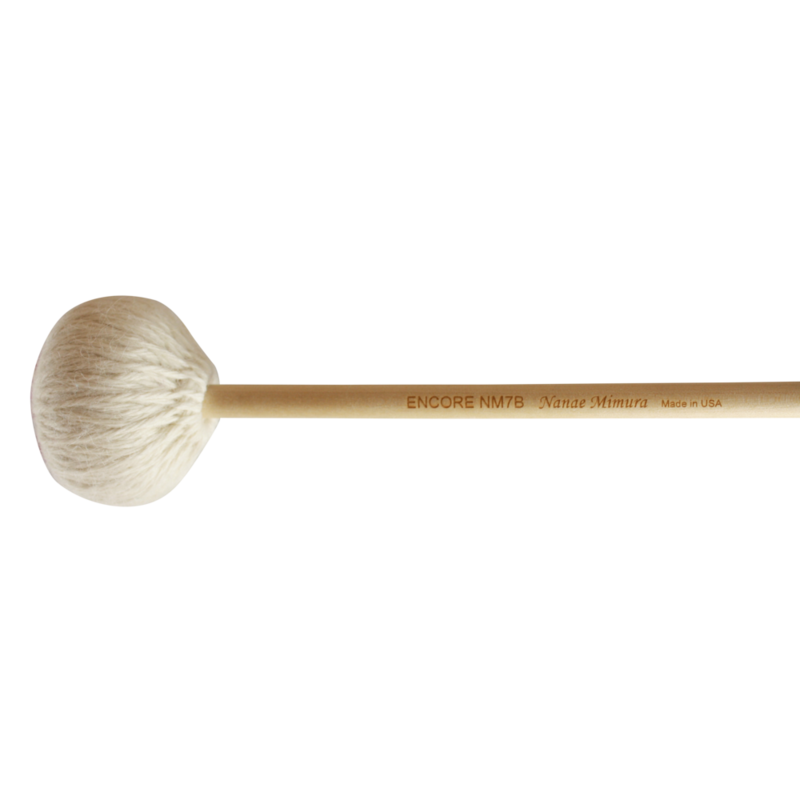 Combining softness and durability make the NM Series mallets two-toned and extremely versatile. 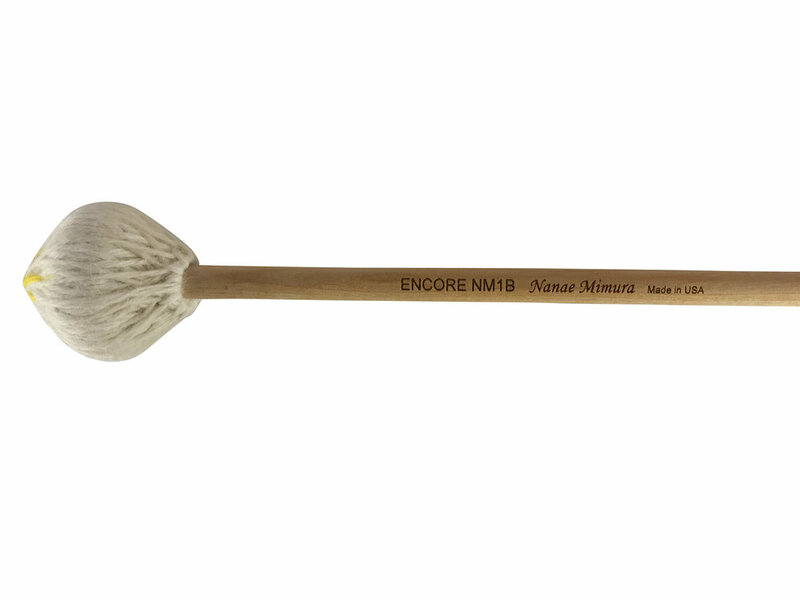 The Nanae Mimura Concerto Series mallets are distinctly heavier than the original series. 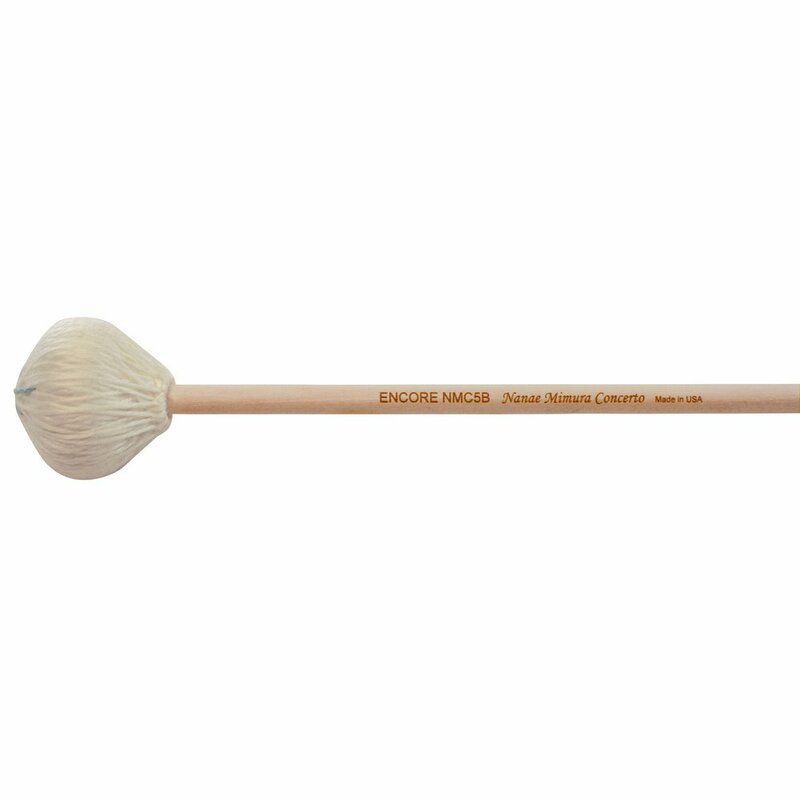 This series is wrapped in a nylon/wool blended yarn for more articulate sound. 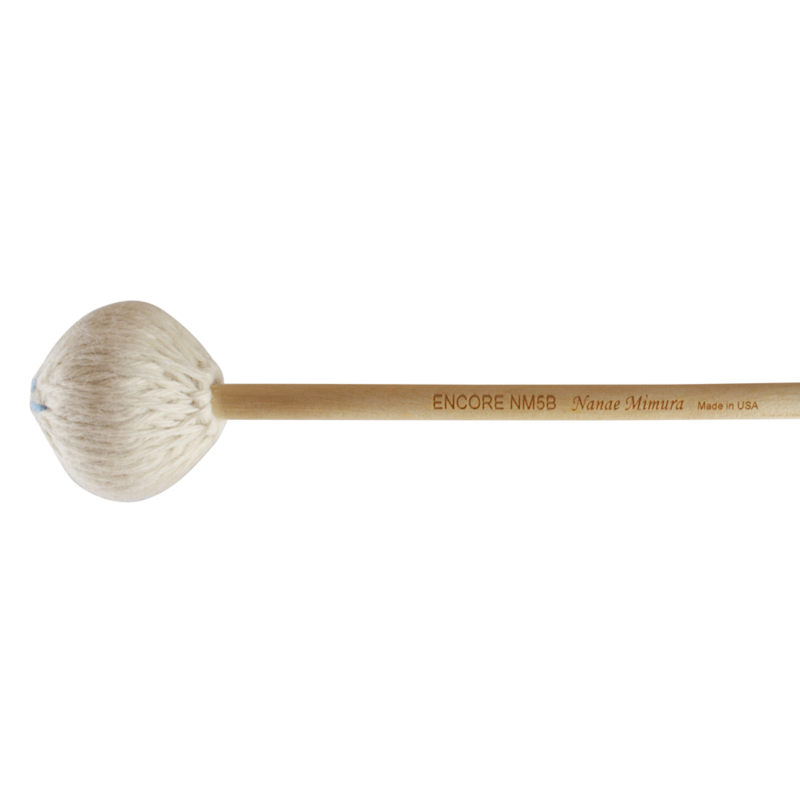 Both Signature and Concerto series are available in birch & rattan handles.